What is the IPL Treatment Plan? Day 1: First treatment of IPL and manual gland expression. Day 15: Second treatment of IPL and manual gland expression. According to recent scientific studies, E-Eye IPL has shown an 87 – 90 % success rate. Treatment is more successful before permanent damage has occurred to the Meibomian glands. Yes, IPL is very safe. The IPL technology we use is E-Eye by E-SWIN and it has TGA registration in Australia, it is also listed in the WAND in New Zealand and it has Medical CE certification in Europe. It has been followed by several clinical studies worldwide. Our IPL uses the red wavelength of light between 580nm to 1200nm, which is perfectly safe for your skin. As mentioned above, IPL has been used in dermatology for several decades and usually the light intensity level used in a dermatology setting is double of what we use in dry eye treatments. Furthermore, an eye shield will be used over your closed eye during the treatment. No flashes of light will directly be exposed to the eye. Dietary and other nutritional supplementation - especially increasing dietary intake of omega-3 essential fatty acids found in fish such as salmon, trout, sardines, tuna and mackerel; this may be supplemented by products such as fish oil tablets. Use of ocular lubricants - these include tear substitutes of varying viscosity, gels and ointments; often these are provided in non-preserved form. These tend to be a bandaid treatment and whilst they offer relief they don’t target the underlying problem. Instituting basic eyelid therapy and hygiene - this includes the use of warm compresses, lid massage and lid scrubs where appropriate. Autologous serum eye drops. These are drops spun from your own blood and include your body’s own growth factors, vitamins and fibronectin to promote ocular surface protection and healing. 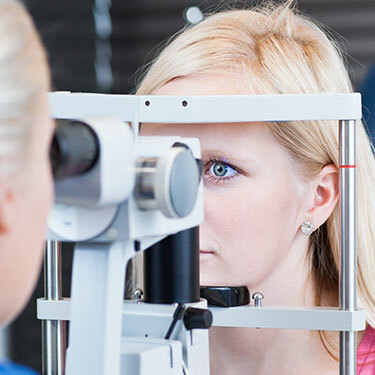 This type of treatment is done under the care of an ophthalmologist who specialises in the cornea. If you would like to know more about dry eye and the best way to treat it, please get in touch with us and we can help.